AM Dalton Plumbing are highly experienced independant plumbers who have been serving their customers since 1985. So, if you have a plumbing need, you're in luck if you are in any SE postcode, E1W, E1, E2, E3, E6, E13,E14, E16, E15 and DA1 to DA18 CALL us today. AM Dalton has a professional approach to work and clientele and continuously update qualifications as appropriate. "By law, Gas Engineers must be on the Gas Safe Register to carry out gas work in United Kingdom, Isle of Man and Guernsey." AM Dalton is Gas Safe Registered Number 88505. AM Dalton is Corgi registered (No 88505). AM Dalton has accreditation of competency to work to a standard which conforms to Part P, Part L and Building Control requirements. See the regulation page for more detail. AM Dalton has public liability insurance cover. "By law, Gas Engineers must be on the Gas Safe Register to carry out gas work in United Kingdom, Isle of Man and Guernsey." AM Dalton has a professional approach to work and clientele and continuously update qualifications as appropriate. AM Dalton is an Associate of the Institute of Plumbing and Heating Engineering IPHE. "....The (IPHE) has a membership of over 12000 and is the UK's professional and technical body for all plumbing and heating professionals. It originated in 1906 as The Institute of Plumbers ...... IPHE came into being on 4 June 2004 when IoP corporate members agreed that the new title better reflects their scope of work and firmly identifies plumbing and heating as an engineering discipline." 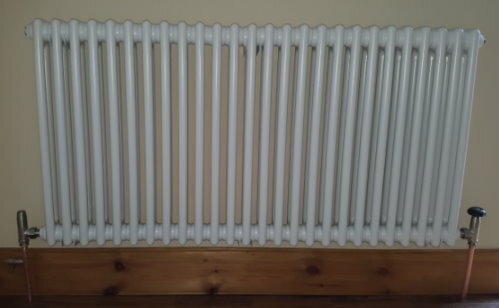 AM Dalton install completely new central heating systems or any of the components which make up that system. The same is true for hot water systems. AM Dalton design, plan and install new bathrooms and kitchens. AM Dalton can conduct all of your gas work on Boilers, Hobs and Gas Fires. Or, maybe you need a Landlords Gas Safety Certificate. AM Dalton repair, service and maintain all of the above types of equipment. Lets not forget the blocked pipe, the leaky washer or the dishwasher installation. 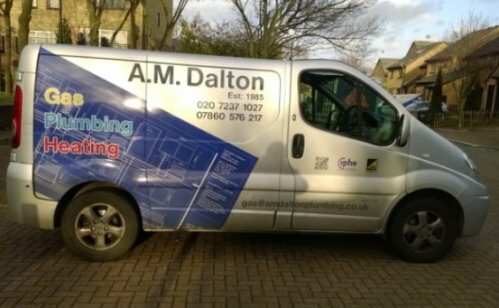 AM Dalton Plumbing are highly experienced independent plumbers who have been serving their clientele since 1985. Initially serving the communities of Rotherhithe, Bermondsey, Southwark, SE16, SE1 and the surrounding area. That has now expanded to all SE postcodes, E1W, E1, E2, E3, E6, E13,E14, E16, E15 and DA1 to DA18.